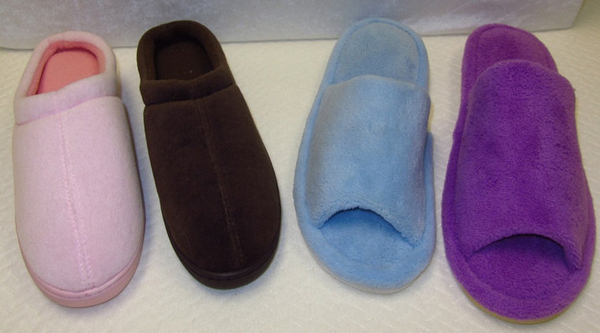 Who could use some high quality, comfortable slippers from Nature’s Sleep? They have next generation memory foam, provide relief and comfort all day long, conform to your foot and cool your foot too! Wow I wish I had a ton of slippers and shoes that did all that! They actually help to distribute weight to reduce pressure points and improve circulation. Comfortable, cozy and more. Who wants to win a pair? Just enter on the rafflecopter below and cross your fingers that you’re the lucky person to get a pair of these cool slippers! I would love a 12″ Sapphire Gel Memory Foam Mattress or a pair of slippers! The product that I would like best from Nature’s Sleep is the Closed Toe Memory Closed Toe Terry Slippers w/Memory Foam in pale blue. My faavourite product is the 10.5″ Fiji Gel Memory Foam Mattress. Thanks for the giveaway. I really would love to have the 3″ 4 lbs. Memory foam mattress topper. the slippers of course, and the contour pillow! I love the slippers, but the gel pillow is on my wish list. i would love the slippers. I would Love to have the 12″ St. Lucia Mattress in King! I like the Vitex Memory Foam Pillow! Thanks for the giveaway! I would love to own a memory foam mattress , love !!!!! Would like the 3″ 4Lbs. Memory Foam Topper for my bed. brutus the boxer loves the pet bed from Nature’s Sleep the best. I really like the Memory Foam pillows. I would also like to have their Memory Foam Mattress Topper to make my bed more comfortable. THE PURPLE SLIPPERS FOR ME. I would love a new topper for my mattress or a new memory foam mattress! I would love to have the St. Cloud Luxe – Plush mattress, it sounds amazing! I’d love the Memory Foam Pet Bed for my senior dog. I’ve been wanting to get the Memory Foam slippers for years. I would love the Diamond Gel Mattress! I would like the memory foam pillows or mattress toppers. The slippers are really nice too. Would like to have the Vitex Memory Contour Pillow. I would love to have the pet bed for my standard poodles! The Faux Down Pillow looks like something that deserves a second look. I can’t even put into words just how badly we need a new, quality mattress! Ours at the moment is a pathetic excuse for one unfortunately. 🙁 Just can’t seem to fit mattress-shopping into our budget these days, though. I’m sure lots can understand this… Anyway, I’ve checked out your site & I think we’d LOVE one of the gel mattresses, either in Plush or Medium Plush! 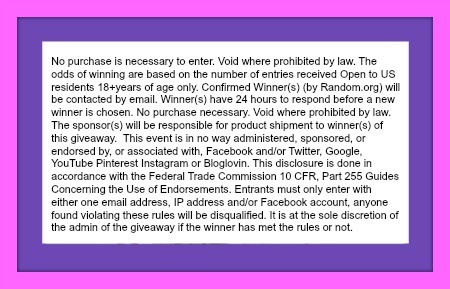 Thanks so much for the chance to win something from your awesome product line! I like the pet bed. I actually like 2 products. The 1st one is the closed toed slippers in pink. I also would love 2 pet beds for my 2 dogs. The slippers and the dog beds look really comfortable. I would love it if my dogs were as comfy as I am when sleeping. A 3″ 4lb Topper would be my choice of another item I’d like to have. I would like the Aerated Visolite Dual Pillow the best. Would love to have the Faux Down Pillow. I wake up every morning with neck pain.